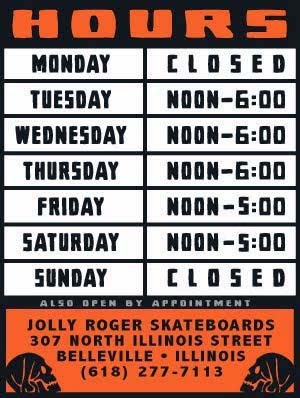 We have new Jolly Roger decks in stock now. Available in 7.6, 7.75, 7.8, 8, 8.25. 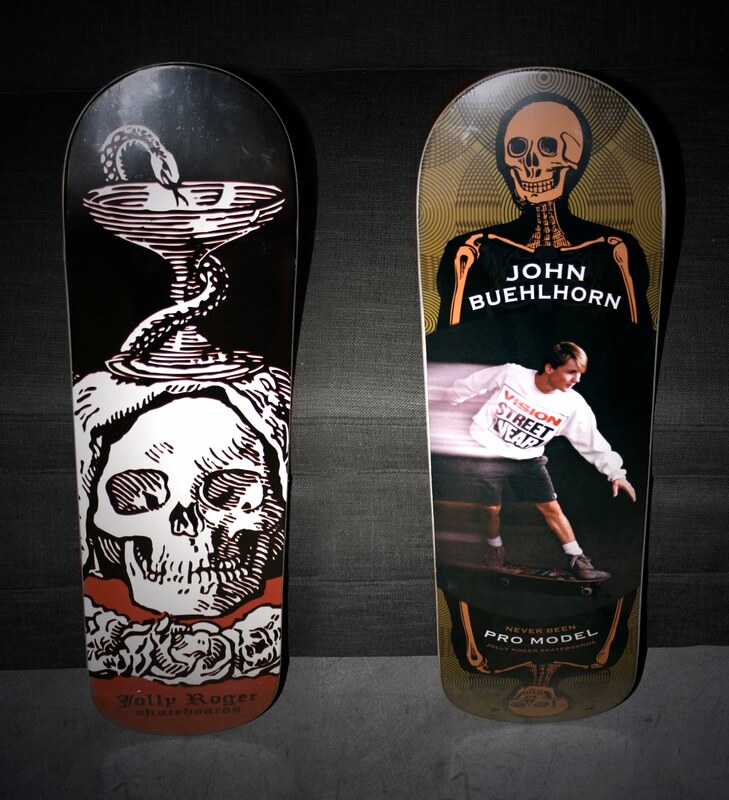 We even have a limited edition John Buehlhorn "Never Been" Pro Model in 8.5. All of our shop decks will be $30 with grip this weekend (February 11-13). So come on in and stock up for when it gets warmer. *SIDE NOTE: The John Buehlhorn board signing that was held on Saturday the 12th was a great success! We have 4 of these decks left. Two of them are signed with a special message from John. BREAKING NEWS (02-15-10): I think we set a record. 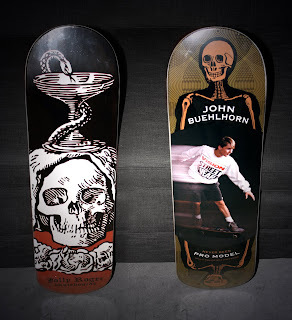 John Buehlhorn decks are sold out.